This semi-ranty post covers a subject many of us are familiar with and one I have never previously given an inch of cyberspace to. This is because I have learned that when someone wants your attention and is going out of their way to get it, by being as loud and obnoxious as possible, sometimes the best thing you can do is ignore them. Not today, though, because today I am going to have my say and guess what? This is my little space, so you ain't trolling here. I won't give unconstructive negativity any space on my blog, not even a comment. If you don't like what you read, just troll on by, since that is the polite thing to do. as if we were real people and this was real life. 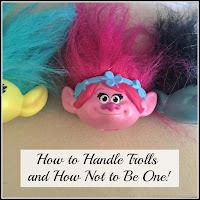 This is how to deal with trolls and how not to be one, unless it's one with pink hair. Once upon a time, in the good old days, social media was a place where you could air your greivances, talk about your day, or even photograph your lunch, should you feel the urge. Why not let the world know that today you really nailed a cheese baguette?! It was a happy place, a place of joy and camaraderie, and, aside from the occasional snide comment from a colleague or old school friend, all was well with the world. Then the trolls came. In small numbers to begin with. Fearless, with their keyboard shields and laughter emojis to hide their true purpose. Slowly they spread their seeds of hate and spiteful comments as far as they could, leaving hurt and self-doubt in their wake. Twitter provided the best breeding ground, with easy access to celebrities and other beacons to attach their bile-filled tweets to, for maximum effect, because that's what it's all about, isn't it? Getting some attention. When I was studying Child Psychology, I remember the first time I heard the expression, 'any attention is good attention.' Even when refering to children, it sounds a bit bonkers. The idea is, that driving your parents, or teacher, mad until you get told off, is better than being ignored. It does, however, become pretty evident when it comes to trolls, who will try to hurt, insult and offend, just so that, for a tiny moment, somebody is looking at them. Even if they are looking at them, thinking; 'what a vile, contemptious, sub-human', they are still getting some attention, for a split second. These days, if you put your nose over the parapet of social media, you run the risk of being trolled, it's unavoidable. Even L has been trolled, since he first started appearing on our Youtube channel, aged 9. Yes, 9. People seek out and troll children, for fun. I get around it, by moderating our comments, so he doesn't see them, but for heaven's sake, really?! 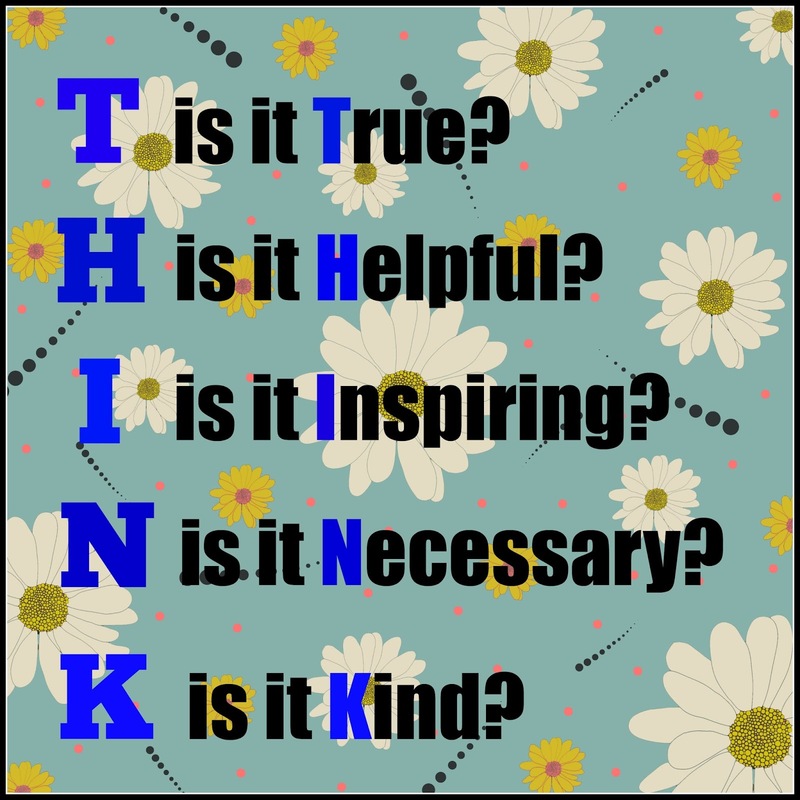 So that's all pretty twisted and wrong, but I have come to the conclusion that it is really no different to any other form of bullying and there are a few things you can do, if you find yourself on the receiving end of unwanted attention from the silly side of social media. Don't read the comments! This only really applies to a situation where something has been shared about you in a negative way, which hopefully won't happen, but if it does, there is no law that says you have to read something, just because it is (loosely) about you. If you can muster the will power, just don't. Leave them there, unread, safe in the knowledge that this is exactly the opposite of what they want! It's not personal! 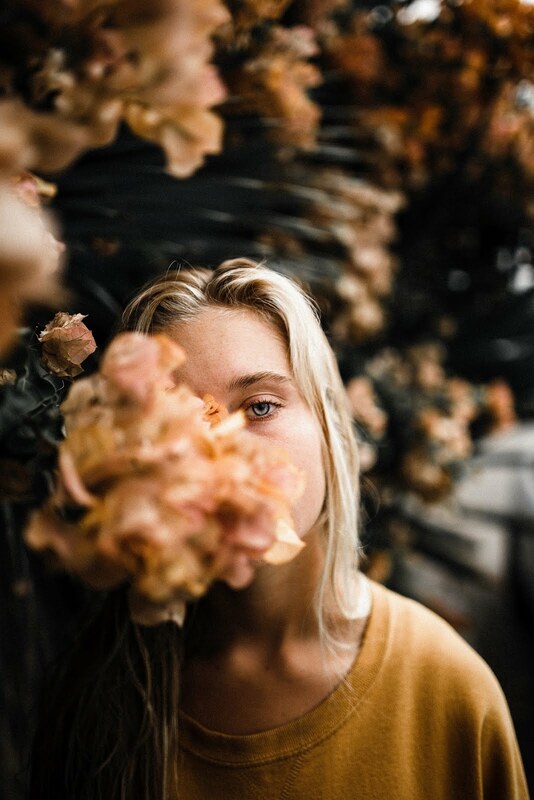 Keep in mind, anyone who comments about you on social media, be it 'friend' or stranger, is not going to know all your circumstances, they may even know nothing at all about your circumstances, but that won't stop them throwing down their soapbox and criticising in a faux-authoritative tone. So remember they are always the voice of ignorance when it comes to your life and how you live it, which makes them entirely irrelevant. So, that's how I deal with trolls, and I hope it helps to empower someone who has been a victim, even a little bit. There is another side to the trolling seesaw, though. 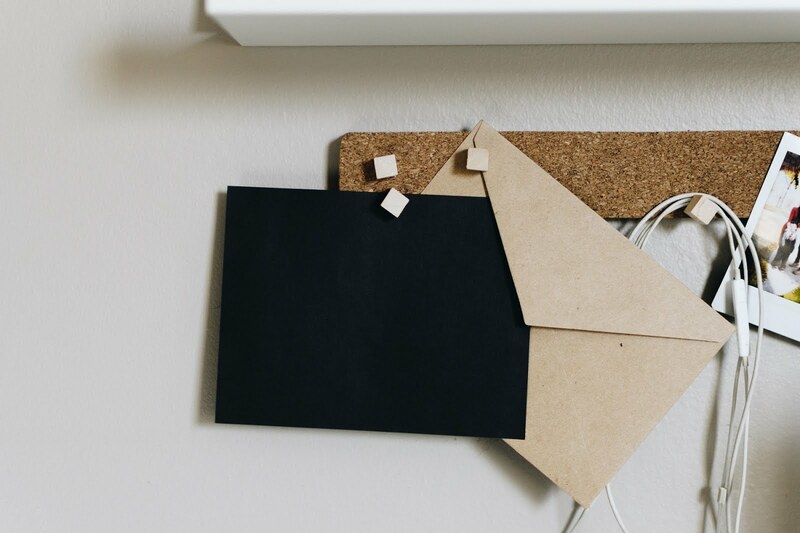 How are your social media manners? A learned and accomplished scholar (ok, it was Thumper, from Bambi) once said; 'If you can't say sumthin' nice, don't say nuthin' at all!' When it comes to social media, or any medium where you are obscured by a computer screen, these are words to live by. It's very easy to get carried away when you can't see the reaction of the person you are addressing, but it's not so hard to ask yourself; would I say this to their face? Would I make that remark in actual life? If the answer is no, what's the point in saying it at all? You are still the same person when you type, as when you speak, and people will still judge you the same, so if something about someone else's life bothers you and you feel the need to criticise or correct and it's not to be helpful, do everyone a favour and troll on by. 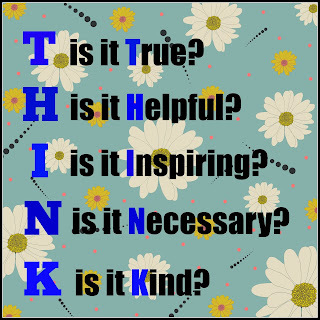 Before you comment, THINK. 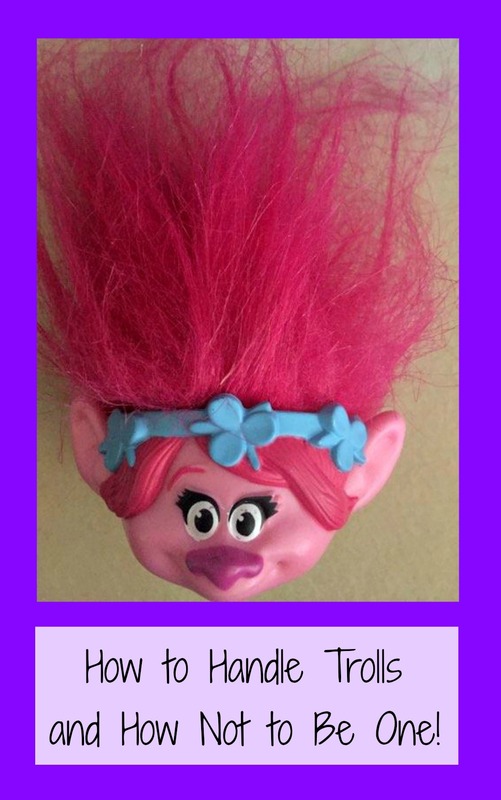 Don't be the troll! Well said. I actually have the Think saying on a board in my kitchen. You're so right about the use of emojis - they can be really passive aggressive, can't they. 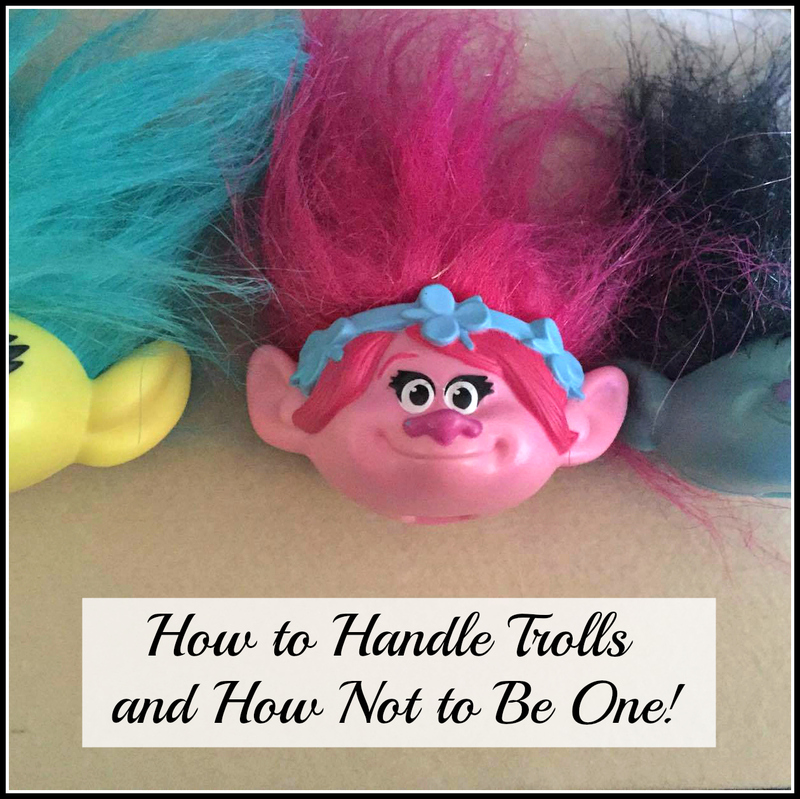 If you blog though I think you do have to develop a thick skin because if you reach enough people the trolls will (statistically) come out of the woodwork. Not feeding them is the only thing you can do. Yep ignorance is as they say bliss and these people that think they can say/write what they like because they are invisible are just sad idiots. Only way to deal is to ignore them! LOVE this! Agree that ignorance is best, but this had to be said and thank you for saying it. Go you! Brilliant post. I have found myself on the wrong end of such comments and despite approving them on my blog I haven't replied. I did make the mistake of mentioning it on twitter. It was my first one and I was attempting to laugh it away and this enraged them more. So now I'm avoiding mentioning it all in the hope they go away. There are 2 of them. I publish their comments and leave them there for others to see the vileness they have spouted at me. Unfortunately it has also put me off writing a post like this and actually posting it or posting anything remotely personal so they can't attack me more. Fingers crossed they get bored soon and move on! Like you say do not feed the trolls!